Take watermelon piece and rub it on you face and after few minutes wash. The face will get cool and refreshment. If you apply it in summer then you can get better result. It is prevents from sun shine. Make a mixture of same quantity cucumber and watermelon juice. Massage it on your face and expose area. Leave it for couple of minutes, then clean the face by using cotton. It is a good way to make your skin beautiful and glow. Make a Ice cube by taking mixture of mint leaves paste and watermelon. After massage this Ice cube as a circular motion on your face. If you do like that then your skin pores become open which gives glow and shining skin. 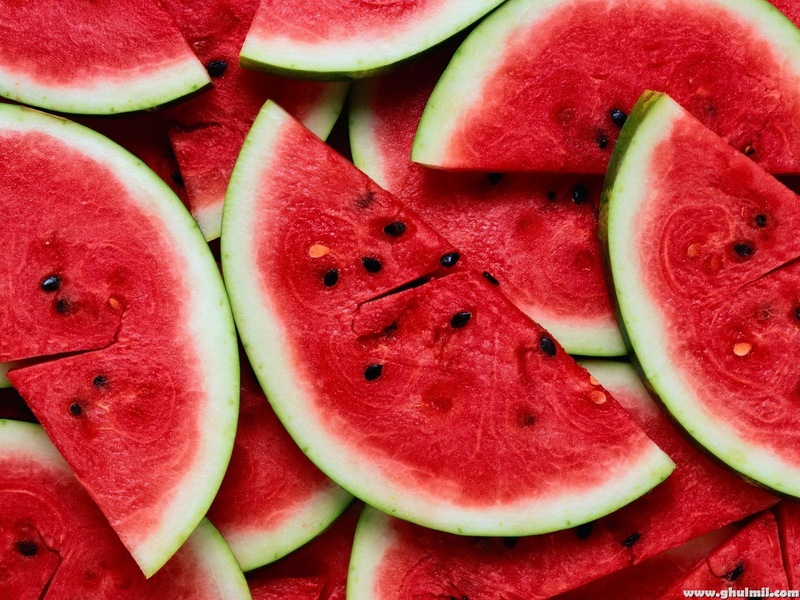 For glowing skin you can do other method, make a paste of pea nuts and add watermelon juice. And keep it few minutes. It is a good facial scrub for the skin. It will help to glow the skin. Watermelon works as a toner. For making toner, take one cup of watermelon juice and add one spoon of lemon juice and fridge this mixture. Clean your face by applying this juice and make your skin soft and glowing.